Expert Insights met Kyle Metcalf, CEO of Security Awareness Training Vendor Inspired eLearning, to talk about how their platform is innovating in the SAT market. Inspired eLearning is one of the leading vendors in the Security Awareness Training market. They’re recognised across the market as being one of the top choices for large enterprises to go for with strong content and analytics for testing employees and training them to be better able to stop spam and phishing attacks. 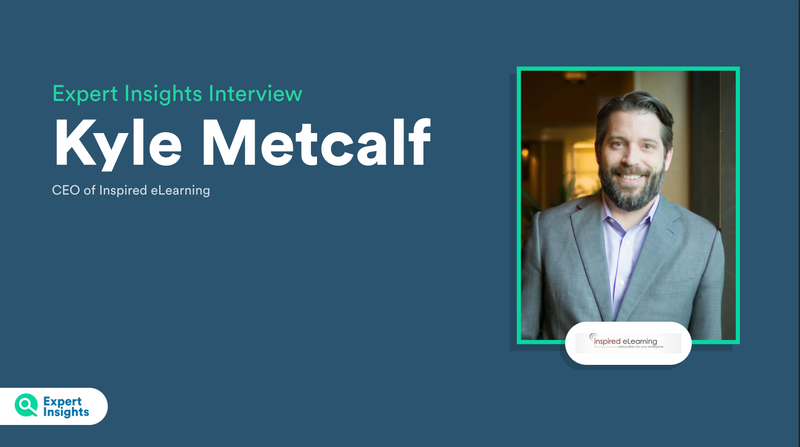 We sat down with the CEO of Inspired eLearning Kyle Metcalf to talk about the Inspired eLearning platform, and to hear his insights about how they’re platform is meeting the needs of customers of all sizes, with content based on a strong scientific and psychological foundation. Inspired eLearning has historically focussed on creating highly customized training for large customers. But they are now making moves into creating a platform for businesses of all sizes to have high quality Security Awareness Training. Security First Solutions is a multilingual, packaged security awareness program. It delivers assessments, security awareness training, and phishing simulations through integrated learning paths. Powered by automation capabilities, Inspired eLearning has built 15+ years of enterprise cyber security expertise into three new, off-the-shelf solutions to help businesses of any size. Having an easy-to-use and frictionless platform for both people undergoing training and the IT departments running the training is a huge selling point for Security Awareness Training vendors. Is that what customers like best about the Inspired eLearning platform? At the RSA show, Inspired eLearning showed off a new VR Security Awareness Training module. One of the key aspects of Security Awareness Training is testing employees on how well they are able to spot simulated phishing emails. Inspired eLearning offers simulated phishing campaigns, but unlike a lot of vendors, they go beyond just email based phishing attacks. Training to help businesses improve their security in a flexible way. What sets Inspired eLearning apart? Security awareness training is a crowded market. We asked Kyle how Inspired eLearning was doing things better than vendors like KnowBe4, who are dominating the market with aggressive sales and large amounts of funding. “What sets us apart is the quality of the content, number one. Then, the services and support,” Metcalf tells me. “We call ourselves the most effective training. Our Chief Learning Officer John Trest has forgotten more about adult learning theory and instructional design than most people have ever learnt!